Shaving is a big part of manly maintenance. Depending on how crazy your hair is, you might need to take up the razor from every week to every day. That’s a lot of grooming and hygiene, taking up a lot of our time, energy, and money. But hey—it’s necessary, in many ways. Without it, we’d all look like cavemen or Jonah Hill circa Teen Choice Awards 2007. However, a particular group of men are susceptible to a problem that besets improper shaving practices: men of African descent. What exactly is this problem? Aside from the usual issues that arise from shaving such as skin irritation, painful nicks, and burning skin, men of African descent or black men have to deal with a particular issue that is unique to their ethnicity. All men, regardless of ethnicity, may have to deal with the unpleasant side of shaving. Black men, however, are affected to a higher degree due to their curly, wiry and coarse facial hair. In particular, the risk of razor burns is enhanced due to the unique properties of their hair. Since hair usually grows parallel to the skin, typical shavers without any additional features tend to cut them at an angle. This gives the hair a pointed end that is sharp enough to puncture the skin once it grows again. Picture this as something similar to ingrown toenails that curve back as it grows and ends up digging deep into the skin. Once the sharpened hair pierces into the skin, the body recognizes it as a foreign object and induces an automatic immune response by inflaming the pierced area. This immune response is called a razor burn or a razor bump. Most types of facial hair seldom pose this problem as long as the razor can lift the air away from the skin while cutting it. Black men, however, have hair that naturally curves down as it grows. Imagine that cut hair growing long enough to point toward the skin and then pierce it. This is the reason why African American skin is very prone to razor bumps. So how do you counter this problem with shaving black skin? One way is to use shavers with foil attachments that not only lifts the hair and cuts it as close as possible to the skin, it also cuts it a perpendicular angle to reduce the sharpness. If the hair grows back and curves down again, it won’t be sharp enough to pierce through the skin. For a quick look at the most suitable model of electric shavers for black men, you can check the comparison table we prepared below. 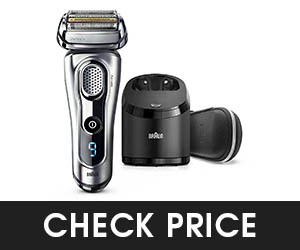 First up on our list is the Braun series 9 9290c, touted as the world’s most efficient shaver. Backing up its bold claim are its 5 synchronized shaving elements and world’s strongest Sonic technology under its hood. It also comes with an AutoSensing motor that intelligently controls the blades to shave more hair in one stroke compared to other electric shavers. The Braun series 9 9290cc has 2 specialized trimmers that capture any tricky hair, making it one of the best electric shaver for black men that can prevent razor bumps. If that is not enough, its innovative SyncroSonicTM technology can flush out every hair using 10000 micro vibrations, cutting a lot of hairs with every stroke even in the densest beards. One of the Braun series 9 9290cc’s main selling point is its Titanium-coated trimmers. This extremely durable metal makes the trimmers highly resistance to corrosion, guaranteeing that this shaver always works like new with every shave. If there is such a thing as a smart razor, this would be it. 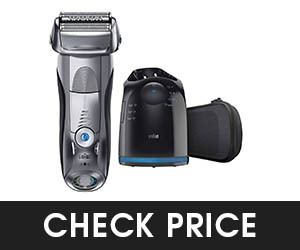 The Braun series 9 9290cc’s AutoSense technology reads the density of the beard and adjusts the shaver’s power output. This way, the shaver adapts to the right amount of power needed and maximizes every battery charge. 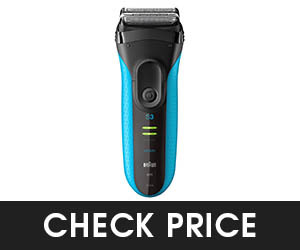 The Braun series 9 is 100 percent waterproof, making it perfect for both wet and dry shaving. It can run for 50 minutes unplugged and can fully charge in just an hour. It seems that Sonic technology is one of the main selling points of Braun-made razors. Just like the Series 9, the Braun Series 7 790cc is also equipped with the SyncroSonic technology which uses 10,000 tiny vibrations to create cushion over your skin, allowing the razor to glide effortlessly and smoothly for a closer shave. The Braun Series 7 790cc’s trimmer head uses 4 synchronized elements which includes a specialized middle trimmer, a dedicated skin guard, and two ultra-thin Optifoils. With all these parts moving together, this razor lets you shave problem areas in just one stroke instead of two. It also follows the contours of your face with its flexible 8-D shaver head, allowing close shaves as the head touches the skin at a mere 0.05 m.
Using the Braun Series 7 790cc puts you in complete control of your trimming jobs. With 5 built-in shaving modes to choose from and built-in precision trimmer that slides out the back, you can shape your mustaches, beards, and sideburns with perfect finishing touches. It takes only one hour to charge its powerful Lithium-Ion battery for 50 minutes of cordless use. And just like it Series 9 brother, the series 7 also comes with a charging station does more than its name. It also cleans, lubricates, and dries the razor at the touch of a button. Like the rest of the Braun series, the Braun Series 7 790cc is 100 percent waterproof and suitable for both dry and wet shaving. If you’re in a hurry and you need one quick shave, then all it takes is a five-minute charge to get it going. Personalized shaving with 5 built in settings. There’s a reason why it’s called the Series 7. Its trimmers are smaller and slightly inferior compared to the Series 9. This is a given with the Series 7’s cheaper price. Panasonic ES-LV95-S Arc 5 – Braun’s Rival Has Arrived! Next, we put Braun’s close competitor in the spotlight, the Panasonic ARC series. Whatever the Braun series dishes out, the Panasonic Arc line answers with their own proprietary smart technology. First up for scrutiny on the Panasonic Arc series is the Panasonic ES-LV95-S Arc 5. While the Braun series boasts of the 4 to 5 synchronized elements in its foil-type blades, the Panasonic ES-LV95-S Arc 5 answers back with a 5 blade shaving system that guarantees an exceptionally close shave. As their answer to Braun’s patented Sonic technology and their micro-vibrations, the Panasonic ES-LV95-S Arc 5 uses inner blades precisely honed at 30 degrees to capture any stray hairs. The Panasonic ES-LV95-S Arc 5 also has its own version of the Braun series’ Autosensing motor in the form of a linear motor that runs at 14000 CPM. To give you a clearer picture of what type of motor that is, think of a conventional electric motor that has been “unrolled”. Instead of a motor that spins very fast, you have a conveyor belt that loops endlessly. 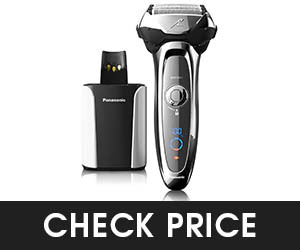 A linear motor allows the Panasonic ES-LV95-S Arc 5 to assume its wide foil-type shape while providing a fast and efficient shaving mechanism. The linear motor is also equipped with a shaving sensor that adapts quickly to the density of your beard. With this system, you know that your shaver is using just the right amount of power and maximizing every ounce of your battery juice to give you that smooth shave. Does it adapt to the contours of your skin? Of course, it does with its Multi-flex pivoting heads. The heads glide smoothly along the contours of your face, cheek, jaw, and neck. For added comfort, the Arc 5’s Multi-fit foils conform gently to the contours of your skin. The Panasonic ES-LV95-S Arc 5 is also equipped with retractable trimmers that can be used to trim the details in sideburns and mustaches. It is suitable for wet and dry shaving and be cleaned directly under the tap. Accessories include an AC charging stand that can wash, sanitize, and dry the shaver after every use. Utilizes a lift foil technique to raise and cut flat-lying hairs. A relatively shorter cordless operation time at 45 minutes, unlike other brands that can run at 50 minutes after a 1-hour charge. You know you’re doing it right when you have an award-winning electric razor in your hands. The Panasonic ES-LA93-K carries the power of a Hyper Performance Dual Motor, delivering a whopping 14,000 cuts per minute with the help of small motor running at 14000 RPM. How is the Panasonic ES-LA93-K able to do this? It all lies in its innovative ARC 4 shaving system. This top-rated shaver works with a 4 blade, a dual motor system that unleashes 56,000 cross-cutting actions across any density of hair. Nanotech blades precisely honed at 30-degree angles move up and down to help lift and hold for clean, smooth, and efficient cut. The Nanotech blades are also guaranteed to stay durable and sharp with every use. Like the ARC 5 series, the Panasonic ES-LA93-K ARC 4 is also equipped with pivoting heads that adjust to the minute contours of the face, chin, and neck. The multi-fit ARC foils on the trimmer heads can conform to any bump on your skin, enhancing your shaving experience with unparalleled comfort and smoothness. The Panasonic ES-LA93-K ARC 4 comes with a convenient charging station that also doubles as a cleaning dock. With just the touch of a button, the Panasonic ES-LA93-K ARC 4 can be cleaned, dried, and charged with its charging station. With the charging stations’ sonic vibration cleaning mode, you can keep this razor fresh and ready for the next use. Convenience is also another selling point of the ARC series and just like the ARC 5, the Panasonic ES-LA93-K ARC 4 also has Pop-up trimmers that you can use for the small details that you want to put on your sideburns and mustache. Cleaning also becomes a breeze with this razor as you can quickly rinse the foil head under running water. All it takes is 1 hour to charge the Panasonic ES-LA93-K ARC 4 for full 45-minute use. Panasonic also has other ARC 4 razors which have the same features as the Panasonic ES-LA93-K. Among these include the Panasonic ES-LA63-S and the Panasonic ES8243A. Aside from the cordless operation running at less than 5 minutes compared to the Braun series, it also suffers from the usual struggle with cutting neck hair. 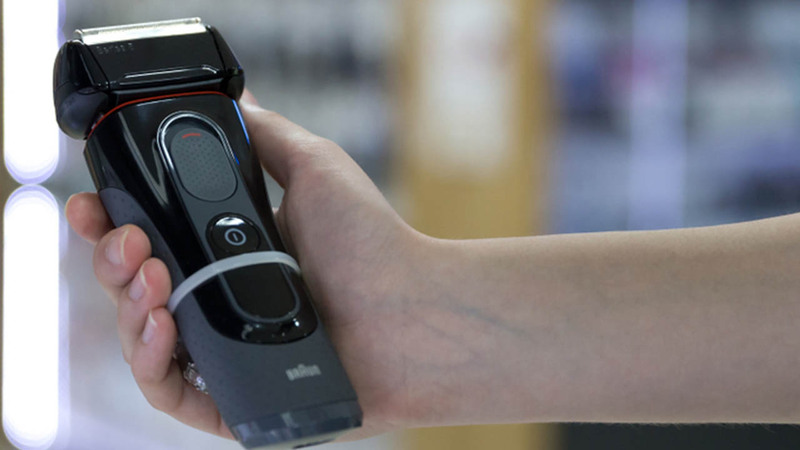 We’ve shown you the reliability and high performance of the Braun lines of foil type shavers. Both the series 7 and 9 have carved an indomitable following among black men who need a top of the line shaver that can keep them away from the troubles of razor bumps and inefficient shaving. This time, we meet the predecessor of the fabled Braun series. The Braun Series 5 5190cc started it all: the patented Sonic technology, the intelligent Autosensing motor, and the powerful foil blades that only the Braun series can pull off. The Braun Series 5 laid the foundation on where the Series 7 and 9 built its legacy. When we say that it all began with the Series 5, we mean that this shaver showcased the effectiveness of the Autosensing motor. This innovative feature reads and adapts to the density of the beard for a smooth and comfortable shave. Actilift trimmers, specialized trimmers that captures flat-lying hair and strands that grow in different directions, makes this perfect for African-American skin. Its flexible shaving head can adapt to your facial contours in 8 directions, allowing you to reach hair even in the most difficult areas. Finally, the Braun Series 5 5190cc’s trimmer head is equipped with 2 SensoFoil blades. Made of 899 unique apertures, the foils shave as close as 0.56 mm to preserve the skin’s smoothness. The Braun Series 5 5190cc is the only known shaver that comes with an alcohol-based Clean and Charge station. Not only does it serve as a charging dock, but it also serves as a portable cleaner that lubricates and dries your changer. This also 100% waterproof and full charges in 1 hour for a 50-minute use. A predecessor of the Autosensing motors that adjusts the output power to the density of your beard. Has a less powerful motor compared to the Series 7 and 9, resulting in slower shaves. With the latest entry in Panasonic’s Arc4 series, you get the signature arched cutting blades, albeit with one less shaving blade than the Arc5 shavers. That said, less is sometimes more, and you’ll find that 4 blades is often enough for the job. Like its Arc4 sibling, the ES-LA-93-K, the ES-LA63-S Arc4 combines a blade and powerful dual-motor system to produce 56,000 cross-cutting actions per minute, across each of its 4 blades. It also employs Panasonic’s Nanotech blades, which are polished to precise levels, and are designed to last as long as possible, while staying as sharp as possible. It also comes with pop-up trimmers for precise detailing on sideburns and mustaches and even features wet and dry operation so you can shave straight after the shower. To make things easier for you, the ES-LA-93-K features an LCD screen for charging status, battery level, and reminders for replacing foils and blades. One of the best things about Panasonic’s Arc series is that they use such powerful motors compared to the competition. You can see this most clearly in this lower-end model, the ES8243A Arc4, which features a 13,000 CPM razor conferring 52,000 cutting actions per minute across its four blades. This is just a tiny step lower than the ES-LA93-K and the ES-LA63-S, which have 14,000 CPM motors. In contrast, other manufacturers seem to be content with putting 10,000 CPM motors even on their higher-end models. A powerful motor isn’t all there is to say about the Panasonic ES8243A Arc4. It also features dry and wet operation, and the four arched blades like the rest of the Arc4 lineup, through the iconic Nanotech blades that are angled at 30 degrees with respect to the shaving surface. And of course, the pop-up trimmers for fine details continue to make an appearance. The battery life is pretty solid at about 45 minutes of use in between full charging cycles. On top of this, though, it does also have the 5-minute quick charge feature, allowing you to load up on enough battery for a single shave in just five minutes. At the bottom of the Arc food chain is the ES8103S ARC3, a 3-bladed razor that still manages to impress with its features and performance. It uses a 13,000CPM motor like its more expensive Arc4 companions and carries many of the top quality features of higher models. These include the same arched Nanotech blades for maximum performance and durability, wet and dry shaving, and pop-up trimmers for finer detailing on sideburns and mustaches. It also has a turbo mode that ramps up the motor to 17,000RPM for cleaning. The only real sacrifice you make with this model is the lack of a charging station; instead, an integral charging port does the job. Before the advent of the Sonic technology and the Autosensing motor, Braun cemented its legacy as an iconic German brand with its Series 3 shavers. They created the Braun Series 3 Proskin 3040S, a simple yet intuitively designed razor that is smooth on the skin yet tough on beards. It may not be as advanced as its Series 4 and Series 5 brothers but it came armed with the basics that accomplish the job. The Braun Series 3 Proskin 3040S work with the patented Sensofoil together with 3 specialized shaving elements to produce close shaves while protecting the skin from the ultra-sharp blades. If you’re looking for a down-to-earth shaver that works perfectly on African-American skin, then the Braun Series 3 Proskin 3040S deserves your attention. Its Micro Comb technology does the job of lifting and catching a lot of hairs in just one stroke. Pressure sensitive blades retract to protect the skin while ensuring a close and smooth skin. Like all the other Braun shavers, the Braun Series 3 Proskin 3040S also comes with retractable trimmers for shaping sideburns, beards, and mustaches. This razor is also 100 percent waterproof and suitable for wet shaving. You can use it for 50 minutes after charging its 2 Ni-MH batteries for at least 2 hours. All the basic features of the Series 4 and Series 5 Braun razors at almost half the price. 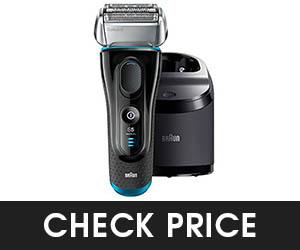 Consider buying this shaver if you want the iconic Braun performance at a budget. Sorry, but as a Series 3 shaver, it doesn’t come with the AC charging stand that doubles as a cleaner. You get 2 rechargeable Ni-MH batteries as a power source instead. Who says that only professionals can give the best shave? With the Wahl Professional 5-Star Shaver, you don’t need to run to a barber to get the professional trim and shave that you need. 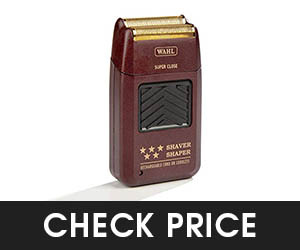 The Wahl Professional 5-Star Shaver has a rather unique design compared to its Braun and Panasonic competitors. While the rest come in futuristic and ergonomic grips, this razor sports a brick-like form painted in strong contrasts of gold fonts against wood brown. Nevertheless, it packs top-notch precision performance designed for the barber in all of us. Its trimmer head comes with a gold-plated, hypoallergenic foil that cares for sensitive skin, preventing skin irritation, ingrown hairs, and razor bumps. High-performance rotary motors powered by two Nickel Cadmium batteries ensure quick, close shaves for up to 60 minutes per charge. The Wahl Professional 5-Star Shaver is a straight-forward, no-nonsense trimmer that can compete even with the bells and whistles of the latest lines of shavers. It comes with the basics and gets the job done. No wonder professionals turn to this down-to-earth shaver as the ultimate finishing tool. No frills, no thrills, just a high-performance foil-type shaver that can help you say goodbye to razor bumps and ingrown hairs. No self-cleaning charging stand, no intelligent motor, no extra gimmicks on the blades. We showed you 10 of the best electric shavers for black men. But you must be wondering what sets them apart? If you want to venture out on your own and look for the shaver that works for you, remember the pointers below. A good shaver must avoid creating ingrown hairs. Most electric shavers share the same issue—their blades strike hair at an oblique angle, which results in sharpened hair stumps that may potentially pierce the skin. This is a major cause of ingrown hair, and hence razor bumps. Black men have hairs that naturally curl back into the skin which further increases the odds of razor bumps. Therefore, they need razors that are not only capable of capturing hairs that grow in different directions, but also that cut at angles perpendicular to the skin to avoid creating sharp edges. 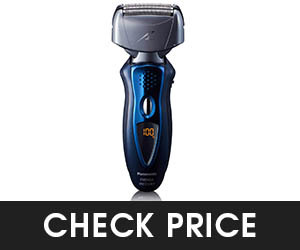 It must have a powerful motor, sharp blades, and a trimmer head that is gentle on the skin. 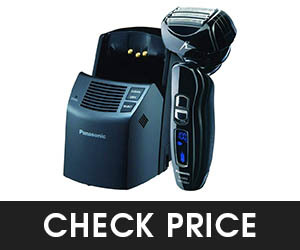 There is no doubt that a good shaver should have a fast and powerful motor. A good motor makes shaving faster and more efficient which means fewer strokes on the skin. Additional strokes increase the chance of skin irritation and chaffing. Sharper blades also mean closer shaves and cleaner, efficient cuts. Dull blades can pull or tug the hair which causes a painful and unpleasant shaving experience. Pulled hairs can cause a burning sensation on the skin which can ultimately lead to chaffing and even skin infection. A quality shaver can produce clean and smooth shaves without the need to apply too much pressure on the skin. An efficient motor will also last a lifetime and can run will not heat up from too much strain. Also, a razor that has easily replaceable blades and trimmers can help prevent rashes and irritation on sensitive skin. Choose your razor depending on whether you prefer wet or dry shaving. Whether a shaver can be used under wet or dry conditions, some men say that is not a deal breaker nor a requirement. However, a shaver that is 100% waterproof can undoubtedly enhance the shaving experience. Who wouldn’t want a close and comfortable shave with the shaving cream of your choice? Some claim that an electric shaver doesn’t need wet shaving capabilities. Electric shavers were initially built to cut hairs without the need for lubrication. However, the latest lines of electric shavers have become 100% waterproof to allow users to improve their shaving experience. Know the differences between the different lines of electric shavers. If you already went through the list of electric razors that we recommended, you’ll notice two brands dominating the competition, Braun, and Panasonic. Each brand made several reiterations of their product lines that it got confusing to determine which ones have the specific features you need. If choosing between the Braun Series 5 to 9, or between the Panasonic Arcs 3 to 5 have become a daunting task, then hopefully these comparisons can help you narrow down your choice. One of the main differences between these three Panasonic variants are the motors they use. The Panasonic Arc 3 razors use 13000 CPM (cuts per minute) razors while the Arc 4 and 5 have upgraded this motor to one that runs at 14000 CPM. All of the ARC models perform almost the same in terms of closeness of shave but because of the relatively less powerful motor, ARC 3’s are cheaper compared to the ARC 4 and 5. As for the shaving elements in the trimmer head, the ARC 4 and 5 have extra foils compared to the ARC 3. The ARC 3’s trimmer has three lines of foils working together while the ARC 4 has an extra foil called the finishing foil which cuts the hair even closer to the skin. Understandably, the ARC 5 brings this feature to overkill status by adding a fifth foil for an even cleaner and more comfortable shave. The difference between all the Series lines of the Braun shavers also lies on the capabilities of the trimmer heads. Unlike the Panasonic ARC line, all of the Braun Series’ trimmer heads are comprised of only three elements, two foils for cutting hairs and one middle trimmer that lifts longer flat-lying hairs. The series 7, however, is a little more forgiving when pressed against the skin as compared to the Series 5. Such is the reason why Series 7’s are recommended more for sensitive skin over the Series 5’s. The Series 5 razors definitely give close shaves but some users have reported that it causes a bit more sting and slight rashes compared to the Series 7. Another defining feature among them is the Sonic technology, Braun’s propriety innovation which makes the foils vibrate at 10,000 pulsations per minute, lifting the hairs for a more efficient shave. Among the three Series lines, only the Series 5 lacks this feature. Needless to say, the absence of the Sonic technology also makes the Series 5 the cheapest among the Braun Series shavers. Razor bumps are small bumps in the skin that develop after shaving. A razor bump happens when a cut hair strand starts growing again while curled back. The tip of the hair becomes very sharp after being cut and it pierces the skin once it starts growing inward. As the hair grows into the skin, it irritates the follicle, which then becomes inflamed and turns into an unpleasant lump. They can also have the appearance of acne. 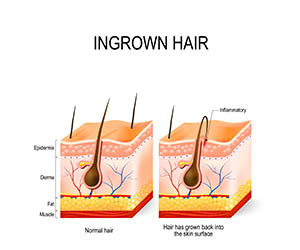 These ingrown hairs cause irritation to the hair follicle which then swells into a small, pimple-like red lump. Razor bumps can completely spoil the attractiveness of a clean-shaven look as well as pose health risks due to soaring and infection. What's the point of trying to achieve that clean-shaven look when your complexion is riddled with bumps and ingrown hairs? Continued irritation can cause these minor blemished to become deeply damaging scarring down the road. Black men, in particular, have a problem with razor bumps. Only about one-fifth of Caucasians have issues with them, while several sources indicate that between three-fifths and four-fifths of black men are afflicted with them. This can be attributed to how the hair of black men tends to be curl tightly inwards, over time digging into the skin. 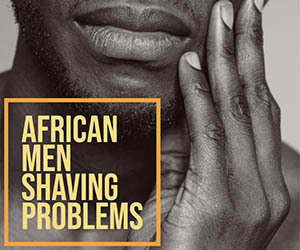 Various sources claim that men of African descent are the most susceptible to razor bumps with almost 60% to 80% of them experiencing this problem. Genetics play a part in this as most black men have tightly curled facial hair. Their hairs are prone to curling around and burrowing back into the skin, causing the dreaded bumps. A study published by the Journal of Investigative Dermatology found that men with curly facial hair are 50 times more likely to suffer from razor bumps. What’s worse is that black skin is more susceptible to keloid scarring, making razor bumps a serious cosmetic problem for black men. How to prevent and treat razor burns? Prevention is always better than cure. To reduce razor bumps and prevent the growth of ingrown hairs, it’s important to use proper shaving techniques if you don’t have access to the right equipment. We compiled a list of procedures that you can use to minimize the chances of developing razor bumps. • Make sure to moisturize the skin with hot water to open up the pores before shaving. • Apply plenty of shaving cream to prevent your skin from getting nicks and chaffs. If you haven’t gotten into the habit of using shaving cream, this is a good time to do so. • If you don’t have a foil-type electric razor, then make sure that the blades on your safety razor are sharp enough to cut hairs in the fewest strokes possible. 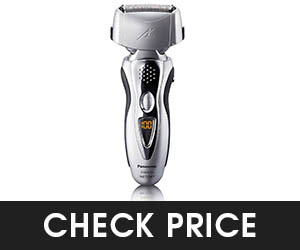 It is always better to invest in a high-quality shaver rather than incurring additional expenses to treat razor bumps. • If you’re using a safety razor or an electric shaver that doesn’t have attachments that lift hairs, remember to shave either against the growth of the hair or across it. This way, the hair doesn’t get cut at a sharp angle and produce a pointed end that can pierce through the skin. • After shaving, press a cold, damp cloth against the face to close the pores back up. • Scrub your face with facial cleanser or a bump brush at least twice a day. This is to keep your face free from bacteria and keep the top-most layer skin clean and fresh. • Apply an anti-razor bump cream which you can easily buy from any drugstore. Hydrocortisone cream or any anti-bacterial cream also gets the job done. • If you haven’t gotten into the habit of using aftershave, then start doing so. However, make sure that you use non-perfumed variants and those with zero alcohol substances. • Use products with lidocaine and bacitracin. These two substances prevent skin irritation and a lot of aftershave products include these two in their ingredients. Layoff shaving for a while. You need to give your skin a few days to heal up first. Shaving skin that is riddled with razor bumps is a recipe for pain and might permanently scar and damage your skin for life. Avoid products with alcohol for now. Alcohol irritates and inflames your skin and unfortunately, a lot of skin products contain this. If your facial lotion leaves your skin dry, then it’s time to toss it out for now. Don’t scratch the affected area. Razor bumps may get infected if you scratch since you’re spreading the bacteria around and introduce additional irritants from your hands and nails. Try exfoliating your skin. You can do this rubbing the razor bumped area of your skin with your hands until you peel off the top layers. You can also do this with a damp cloth or towel but make sure to do this gently. And no need to use skin exfoliating chemicals as well. If exfoliating by hand doesn’t work, then try with dabs of salicylic or glycolic acid. These two products hasten the turnover of dead skin cells and help you shed them more quickly. Needless to say, they sting a bit so don’t use too much. The aim is to remove the top layer to free the ingrown hairs. If the last two still didn’t work, then use a sterilized needle and a pair of tweezers to free the ingrown hairs. This is considered an extreme measure so this should be done as a last resort. Use the needle to open the bump and then use the tweezers to gently coax out the hair. Make sure to sterilize your equipment with rubbing alcohol to prevent infection. If all else fails, then consider laser treatment or electrolysis. These are pricey procedures but offer permanent solutions. Consult a registered and experienced dermatologist to weigh your options. Prices may vary depending on the type of your hair and how much hair you would like removed. Every man, experiences problems with shaving, regardless of skin color or ethnicity. 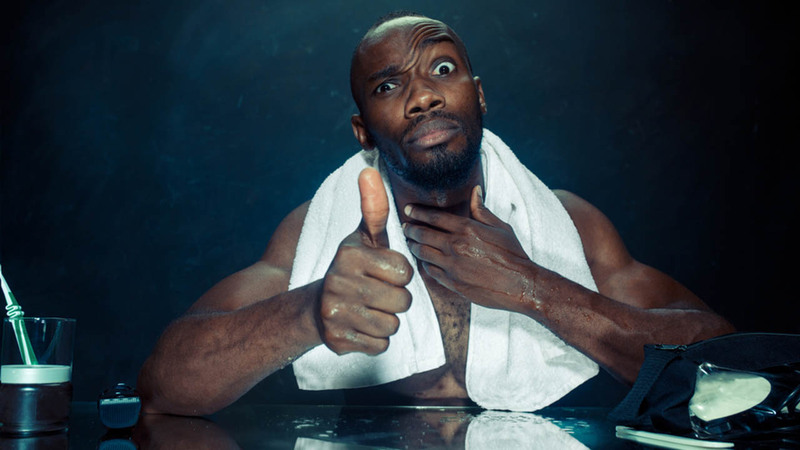 Although the probabilities of razor bumps are higher among black men, anyone can suffer from razor bumps because of improper shaving practices and equipment. A little knowledge always goes a long way. 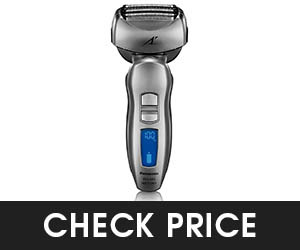 If you do your diligent research and take the time to compare prices and features, you are bound to find the right electric shaver that will work for you. 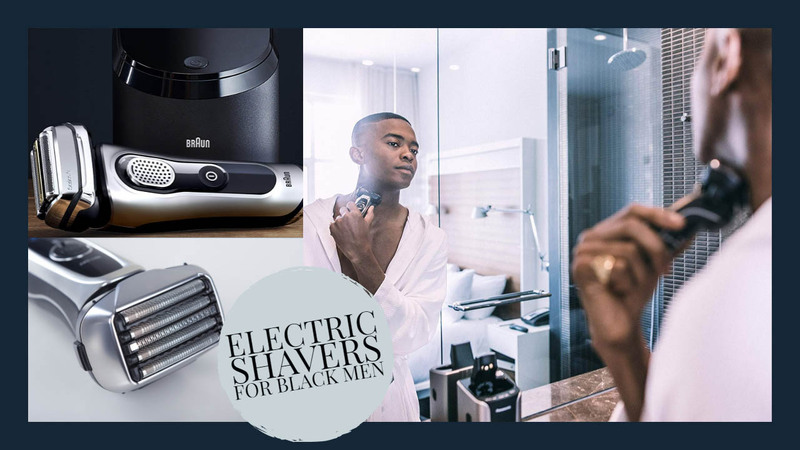 Hopefully, our list of 10 highly recommended electric shavers for black men can help you narrow down your choice. One of these shavers could be the perfect one you’re looking for so that you can finally bid farewell to razor bumps forever.